Kevin has been playing rockstar as a musician, performer, and singer/songwriter for many years. As the lead singer of the Liberated for 5 years, he has performed at the Dune Fest and Fun Festival, as well as most of the local venues in the area. Kevin has produced shows at Time Bomb under the umbrella of Seven Year Sacrifice Productions and is always open to helping promote and assist original bands on the Oregon Coast in any way he's able. "Music is therapy." The stage allows Kevin a safe environment to release his energy and emotions which he considers therapeutic to feelings and emotions that the "PC world," doesn't allow. He connects with his fans through his passionate performances allowing other black sheep and outcasts to feel safe and accepted. ‘It allows me to be me’ as Kevin has often said. Kevin is a work in progress musically and as and human, beginning a new phase in his life after his band The Liberated split up. We welcome all of the new work he will be creating and producing. The future is bigger, louder, and brighter than ever for Kevin. As Kevin says, “I put on shows and entertain people’. And my friends, that is exactly what he does, Entertain. 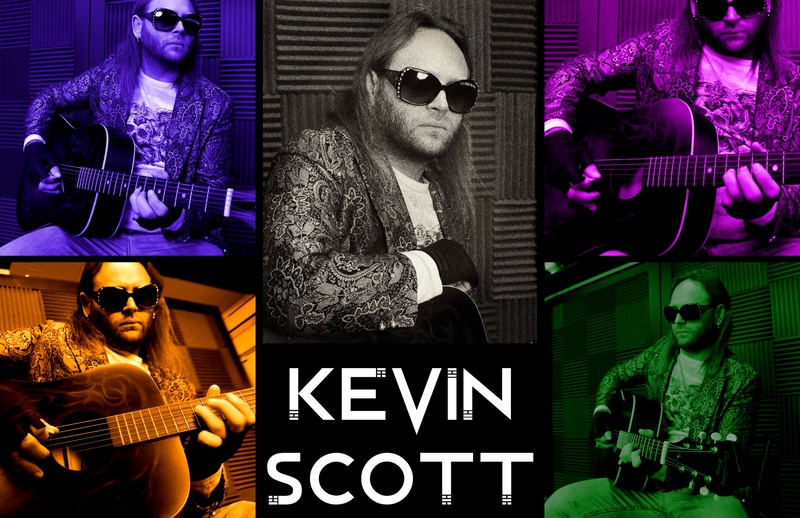 We at the Artist Loft are proud to introduce…Kevin Scott! Kevin Scott is one a very talented local singer songwriter.